There are no big surprises about the top three: they’re all Scandinavian. 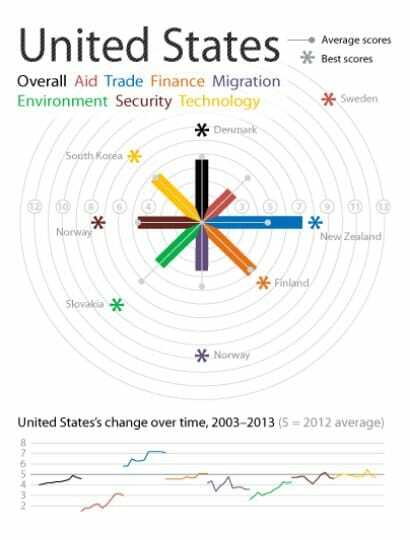 The US, however, has fallen down the chart under the Obama presidency although it seems to have been penalised very heavily for its new restrictions on immigration. At the bottom are South Korea and Japan. In past years, there has been a bit of to and fro by blog from the Japanese arguing that the index is unfair to them.